Ok, since this keeps getting brought up over & over I'm making this a sticky. 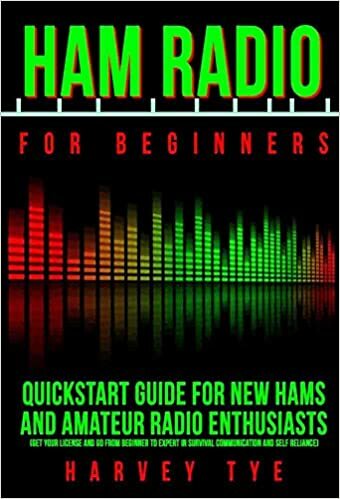 Please visit the Getting Started in HAM Radio thread in The Repository for questions pertaining to becoming a licensed Amateur radio operator. Many of the same resources that I keep seeing referenced are already listed there. This e-book is free on Amazon today. I haven't read it. There are no reviews yet. Remember that you don't have to have a Kindle to read Amazon e-books. You can download a free app to your computer to read them. Found another one that is free today. It has three reviews. Wowsers, those books are... bad. Very easy to tell that neither author has either (1) a license, or (2) any experience at all with any kind of radio beyond the AM/FM one in the car. Each is about a 20-30 minute read, and have the appearance of a college freshman English 101 essay where the instructor said, "Write a 20-page research paper on a topic you don't know anything about, and you must also use a language in which you are only 85% fluent." Information ranges from disorganized (at best), to illogical and just flat out wrong (one of the books explained that hams have been using mobile radios in their cars since the 1920s). Not at all recommended, even at a price tag of $0.00. This reminds me of a pet peeve I've developed recently. 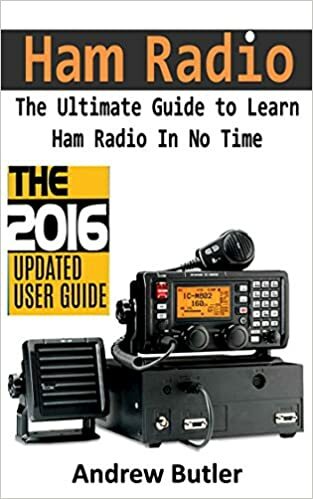 In a lot of prepper-fiction, and even non-fiction, people refer to ham radio like it's a binary thing. "Why yes Bill, we have ham radio at our bug out location." Is that a Chinese handi-talkie, or a decades old Collins? When you come to understand that each band and mode can require specific equipment and configurations, these kinds of oversimplified references in books seem lazy to me. Second one isn't free. Accidentally clicked buy it now before I noticed. I'll check it out anyways since I've got it now. I've been taking practice exams, but I'd like to actually learn a bit in addition to learning the test. A lot of the what frequency is the 2 meter band type stuff is tough to remember for me without background info. A lot of the what frequency is the 2 meter band type stuff is tough to remember for me without background info. Here's the formula to remember. 300 divided by the frequency in megahertz is the wavelength in meters. A detailed student will notice that 150Mhz is beyond the 2 meter amateur band (140-148mhz is the actual range), but saying "2.14 meters" or "2.02 meters" does not roll off the tongue nicely. Obviously this little formula is not perfectly precise, but it'll get you close enough to choose the correct multiple choice answer. I volunteer to answer any Ham/radio related questions either in PM or as a new subject in Ham or radio-communications sub-forum. Thanks Carl, maybe I'll start a new thread with some questions as I come up with them, it may be a bit unorganized but at least it could benefit others that way. No problem,I know I am not the only one with answers and others may benefit...as do I as some questions cause me to reach a bit to give a meaningful,understandable ,answer. Not at all recommended, even at a price tag of $0.00. Second one isn't free. Accidentally clicked buy it now before I noticed. I'll check it out anyways since I've got it now. You do have to watch the price. Often an author will post a book for free for one day (or a short period of time) so some people will read them and post some reviews. It's all about getting reviews.